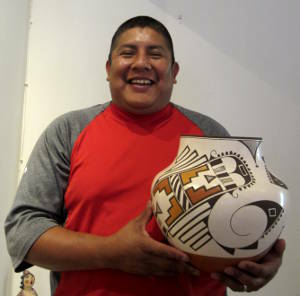 Robert Patricio (given name: Bear) was born into Acoma Pueblo in June, 1976. 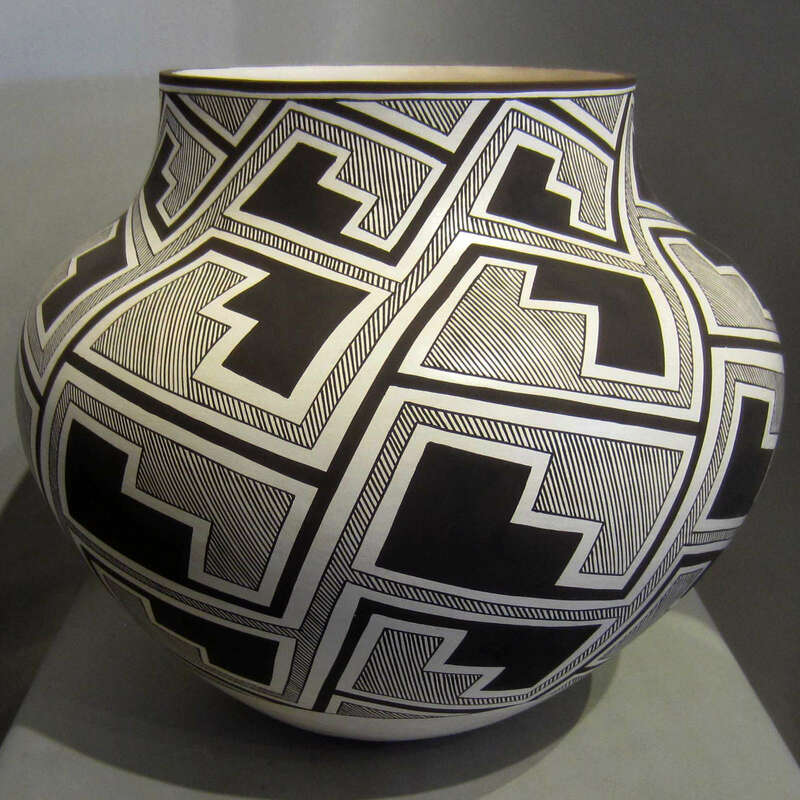 When he was eight he began learning the traditional methods of hand coiling pottery from his great grandmother Marie Z. Chino. 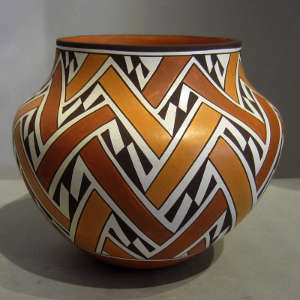 Today he specializes in hand coiled and hand painted pottery. After collecting the various clays, slips and natural vegetation (for the colors he uses), Robert begins the creation process. 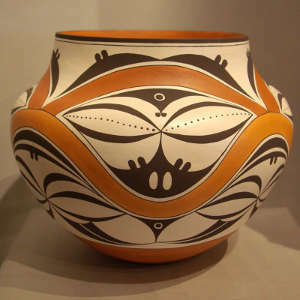 First, he prepares the clay by cleaning for impurities and then hand mixing with water. 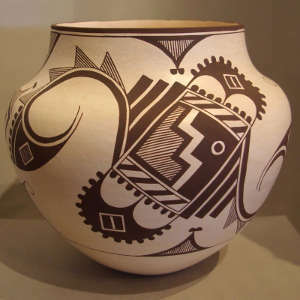 Next, he constructs his vessels from snake-like coils. 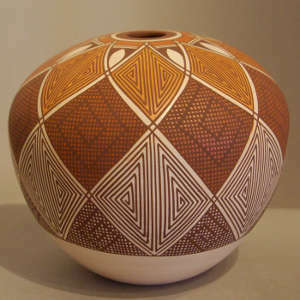 These are then set out to air dry. 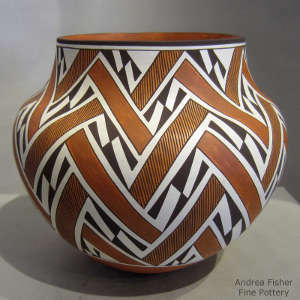 Once dry enough, he sands them for a smooth finish. 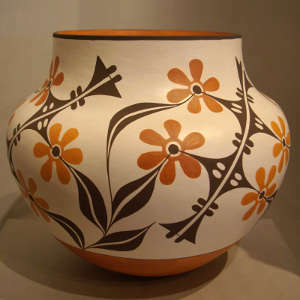 While the pottery is curing he boils the natural vegetation (such as wild spinach and flowers) and creates his colors. 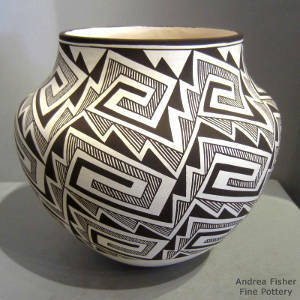 The process is finished after he applies designs and color to the pots by firing them. 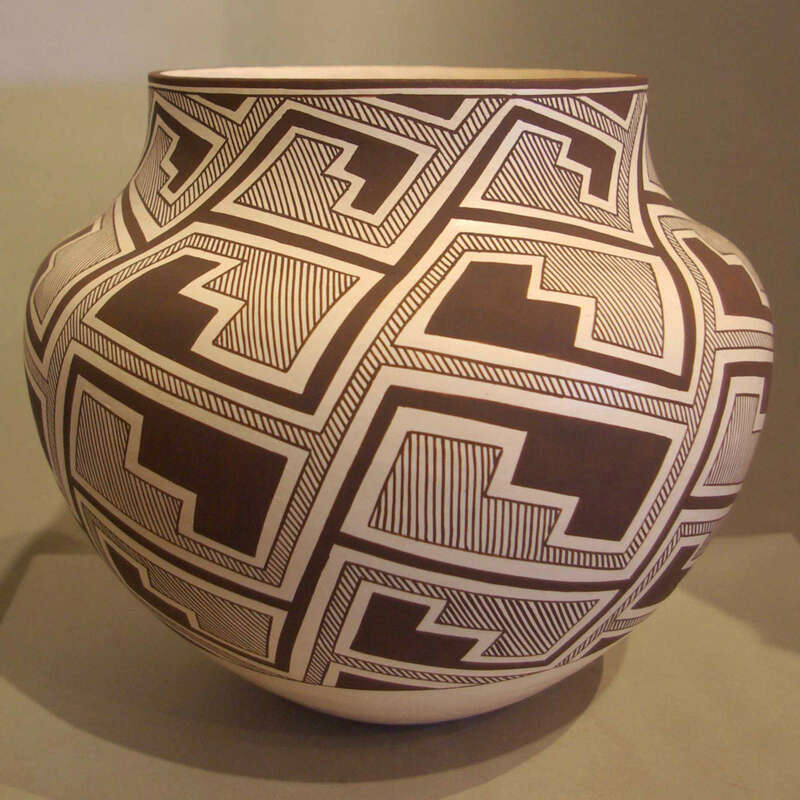 Robert interprets the designs on his pottery from ancient pottery shards found within Acoma Pueblo. 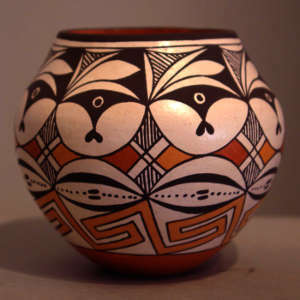 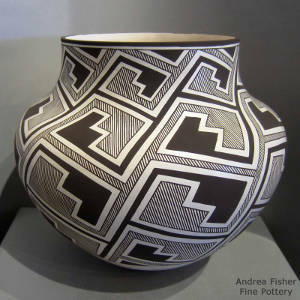 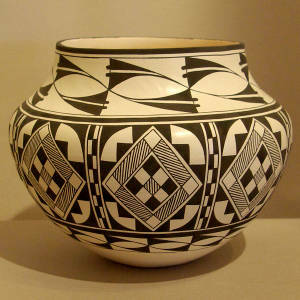 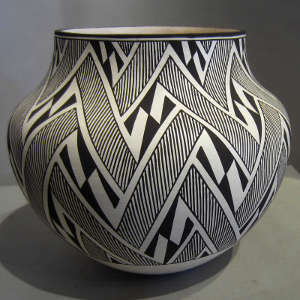 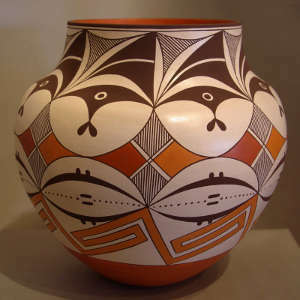 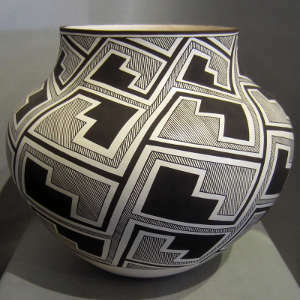 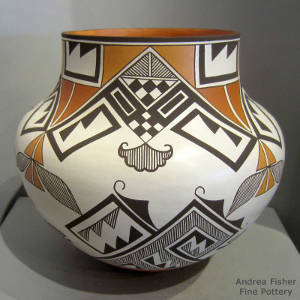 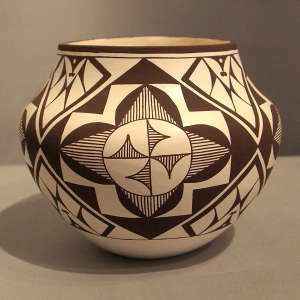 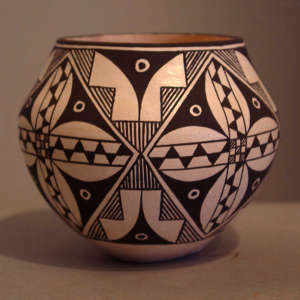 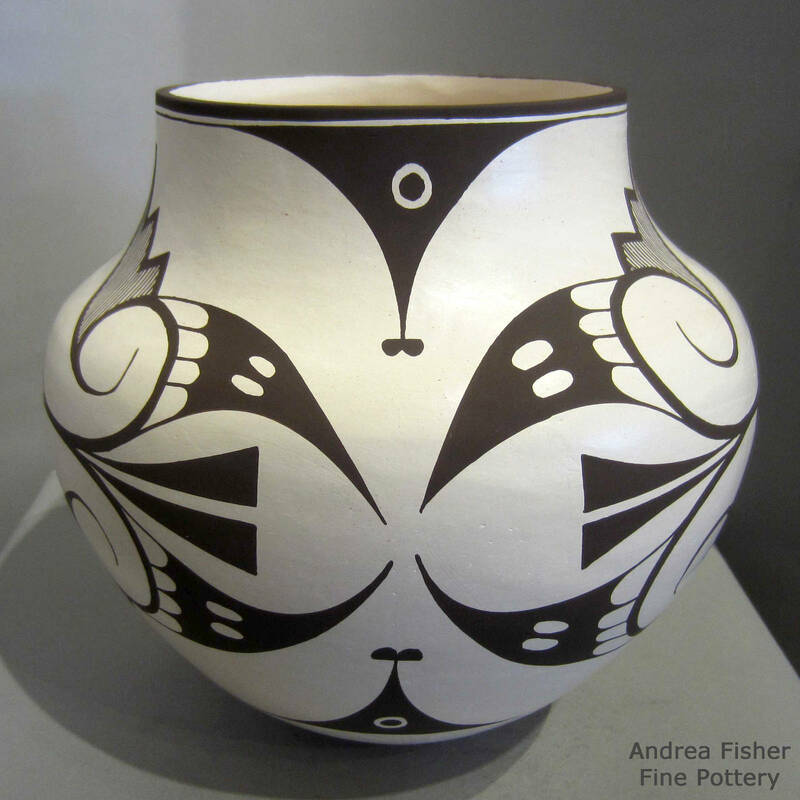 His polychrome and black and white designs include Tularosa swirls, fertility, geometric, parrots, and kiva step patterns. 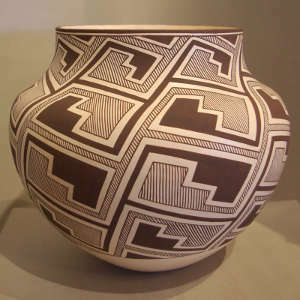 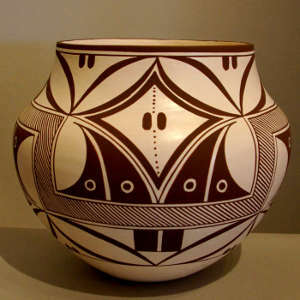 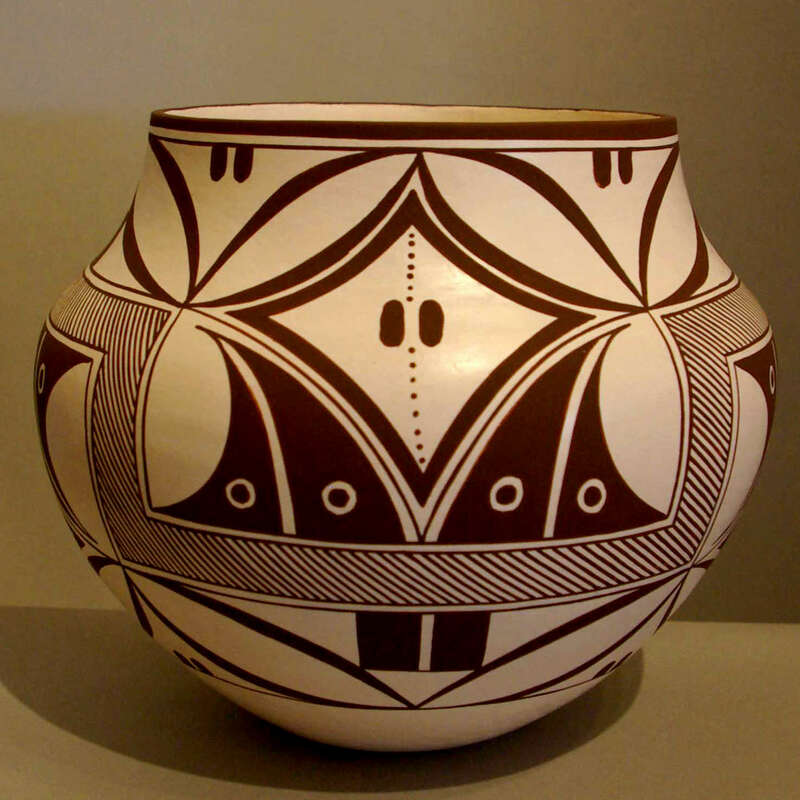 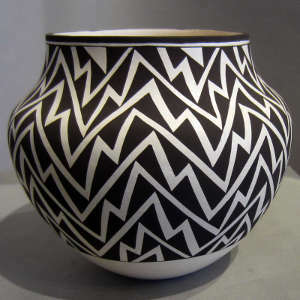 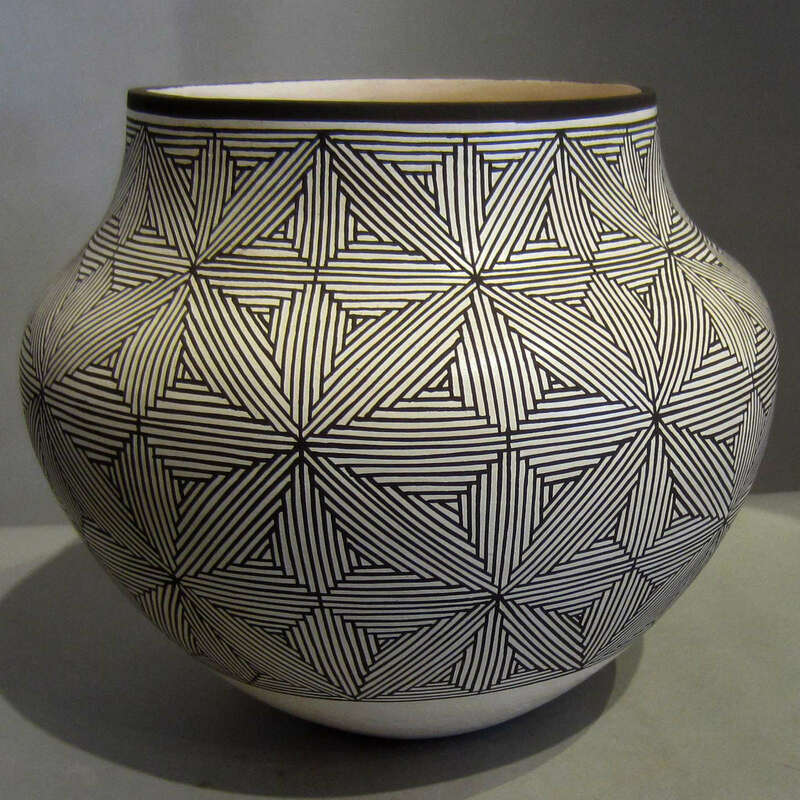 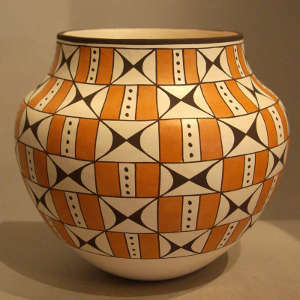 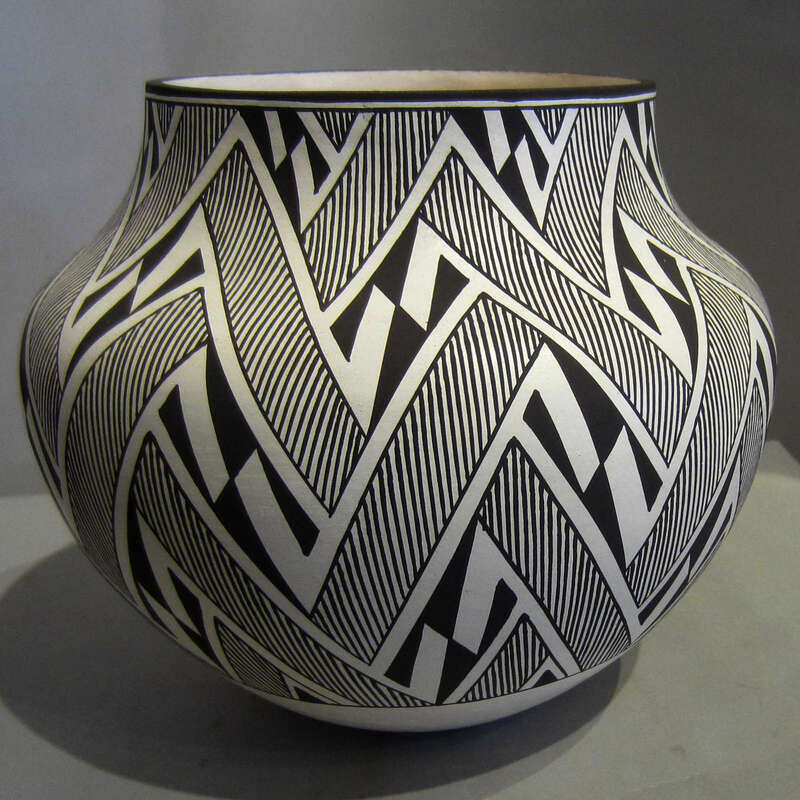 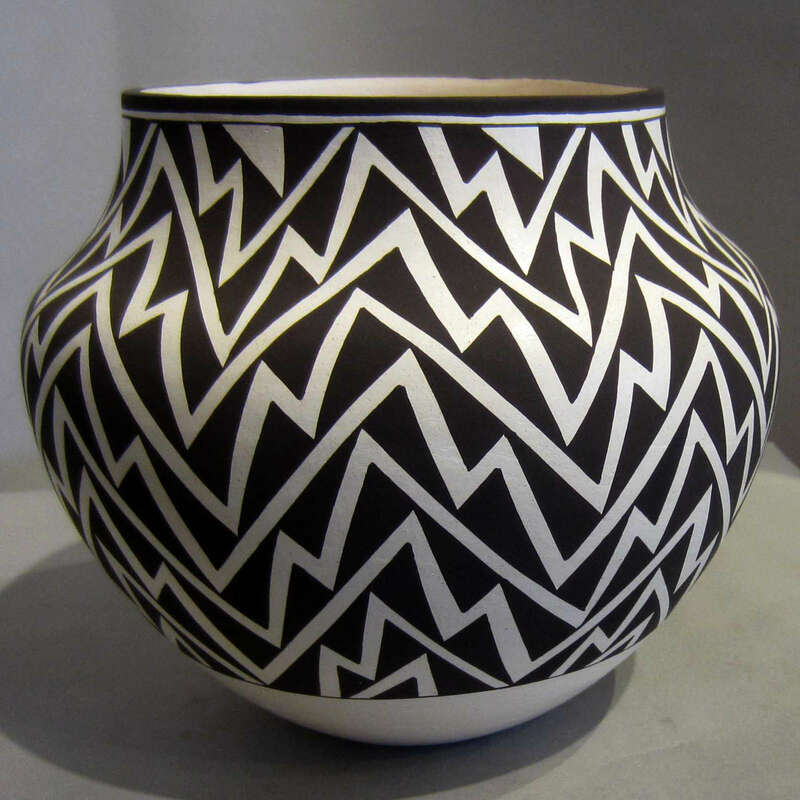 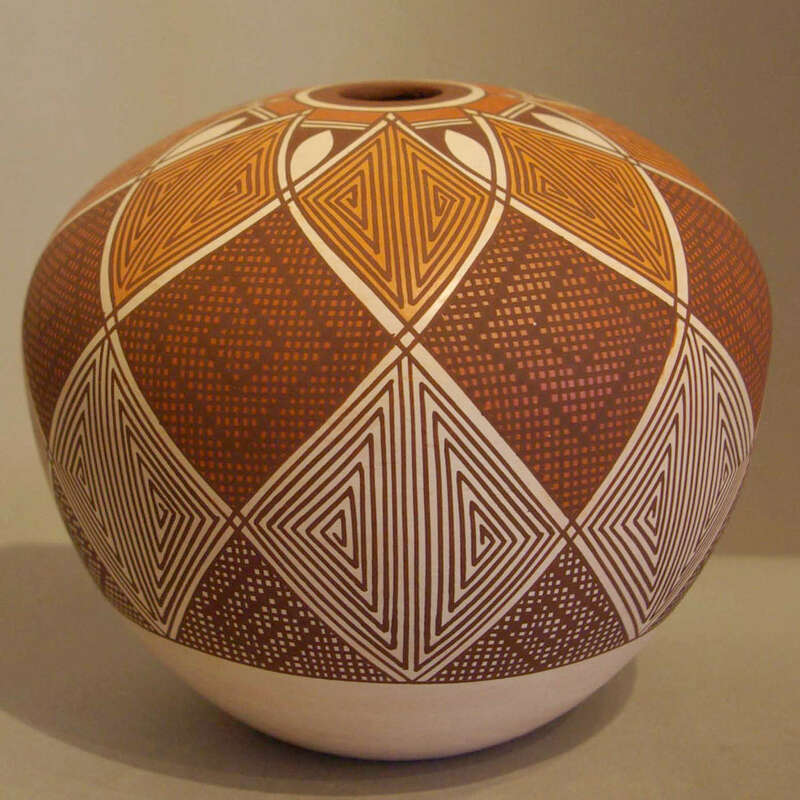 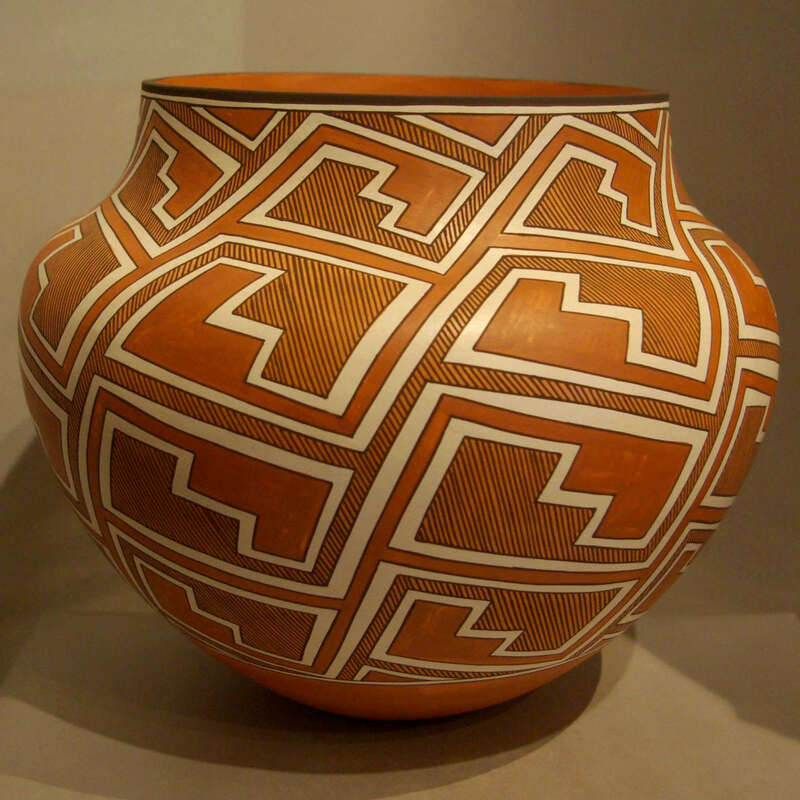 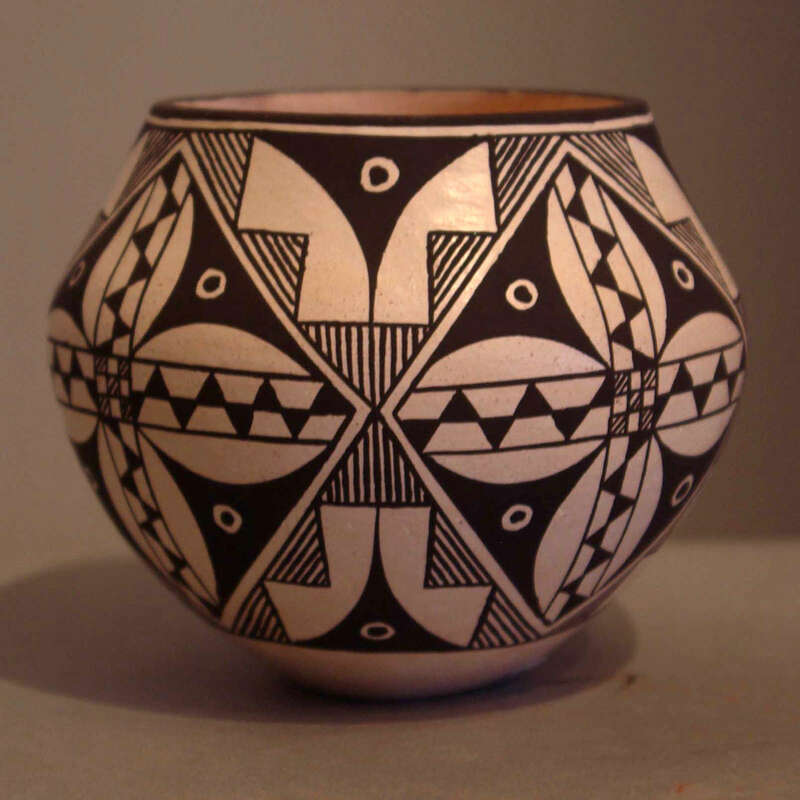 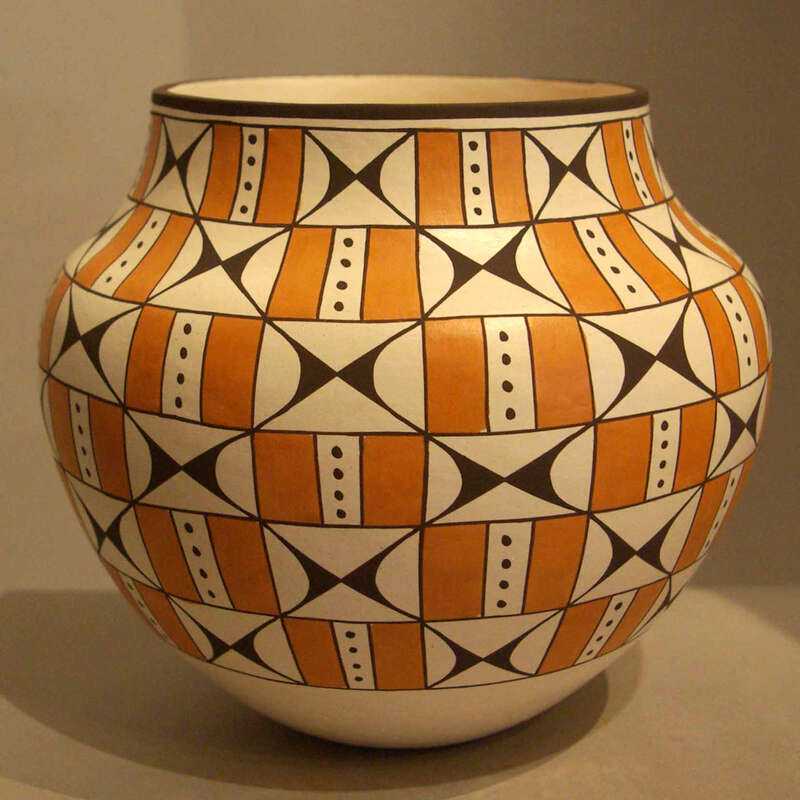 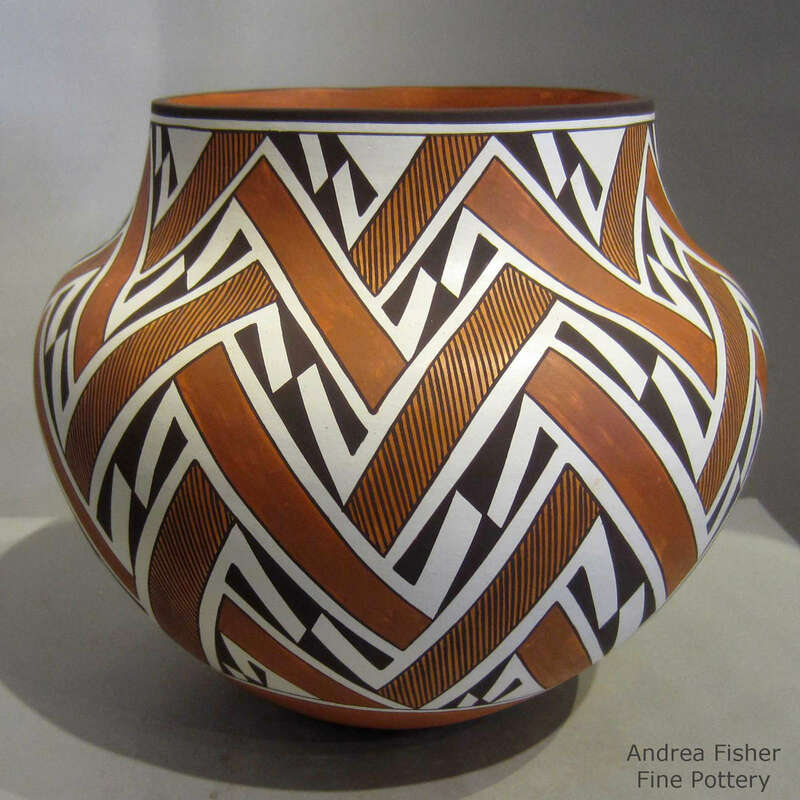 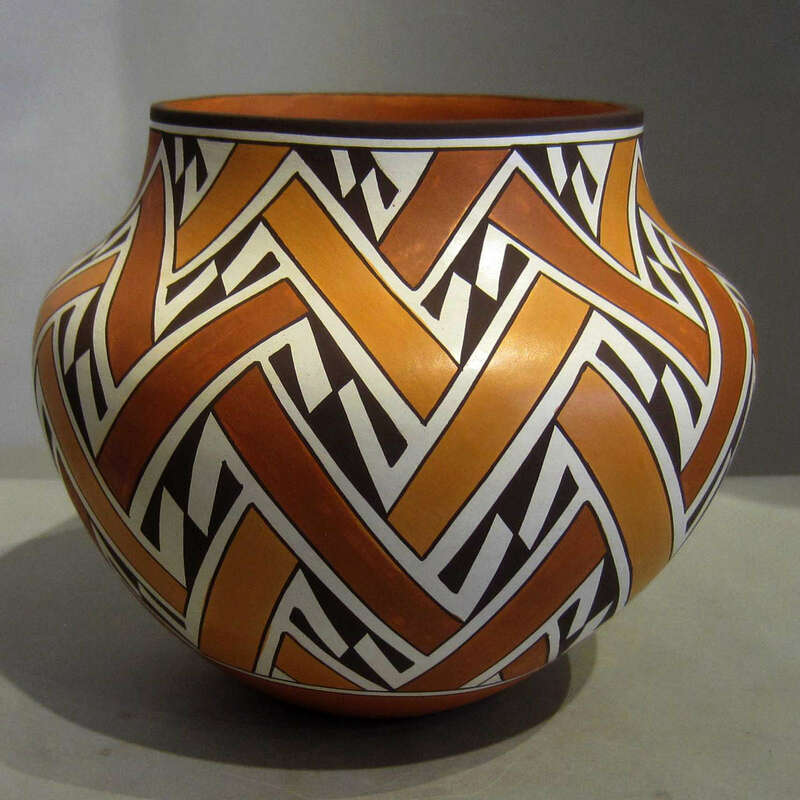 Robert was awarded “Best in Pottery” at the Santa Fe Indian Market in 2010, cementing his position as a rising star in the world of Pueblo pottery. 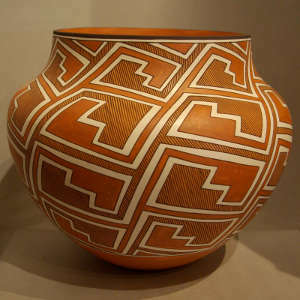 Robert signs his pottery as: R. Patricio, Acoma, NM and R. & M. Patricio, Acoma, NM., the "M" coming from his wife, Melony (with whom he almost always collaborates). 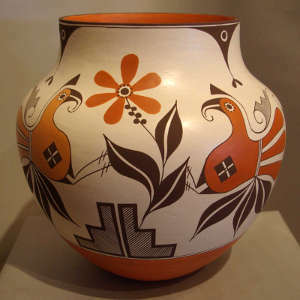 The couple have five daughters, three of whom have already been learning the pottery creation process from their father: Felisha, Kylie and Juana.